01 | September | 2010 | J&A + fun! 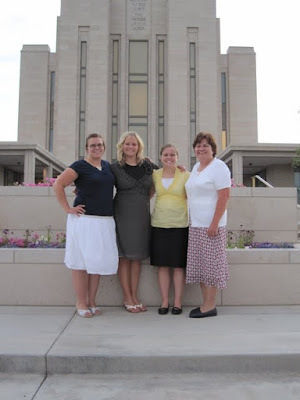 My sister Christina went to the temple for the first time in June! We were so excited for her and glad that we could all come and share her day with her! 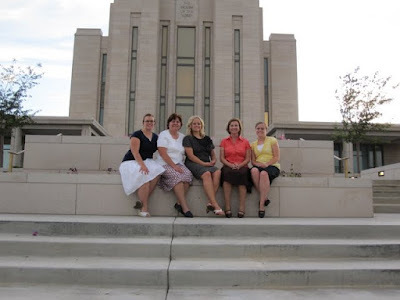 Here we are outside the Oquirrh Mountain temple. It has quite a view behind us! 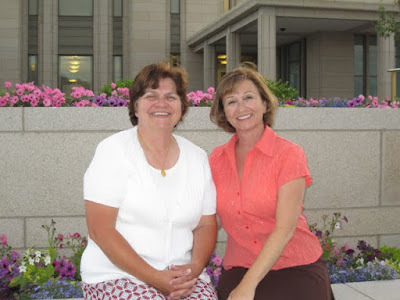 My Aunt Cindy got to come up from Arizona to spend some time with us also! 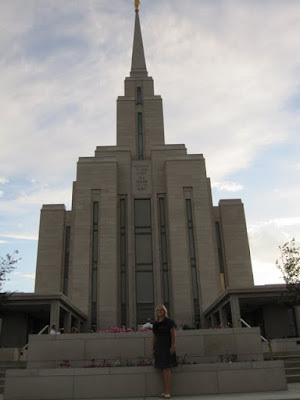 Here’s Christina in front of the temple! Isn’t her dress pretty too? 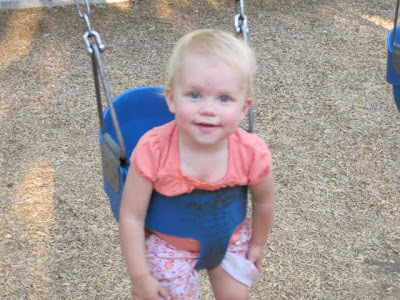 I guess you can’t really see it in this picture since it is so dark…but she looked very pretty and very happy! “Sisters are doing it for themselves”! That’s just a little Simpson’s joke for my sisters! 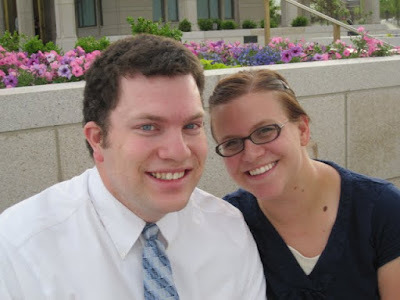 It was really great to have Alex there at the temple with me! It made me think back to our wedding day! And now all the ladies! Congratulations Christina! Glad we could all be there for your big day! This post is kind of a hodgepodge of all the different activities we did in Provo 🙂 We packed a lot into the weekend we were there! Aunt Christina had a great park across the street from her condo! 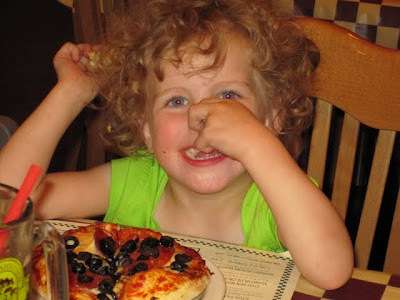 The girls worked off all of their pizza there! 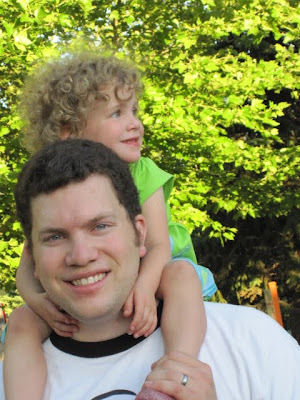 Alex and I relaxing while the girls played with their aunts! 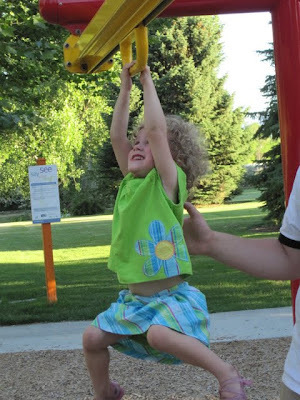 Emmy is getting really strong and can hang on to this slidy thing for a long time! Alex would push her really fast and run along beside her! But she wont let you hold her at all! “I can do it by myself”. 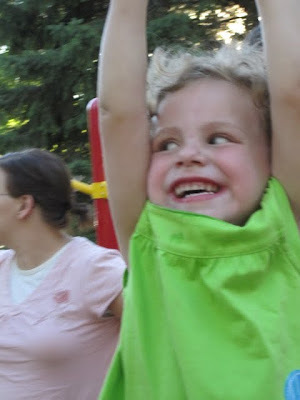 A close up of Emmy as she swings past all of us! 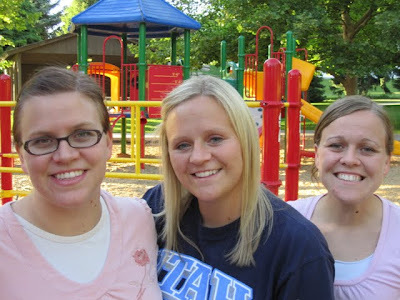 My mom took this picture of the three Layman girls! 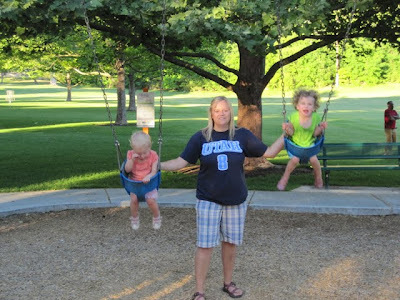 Aunt Christina pushing her nieces in the swings! 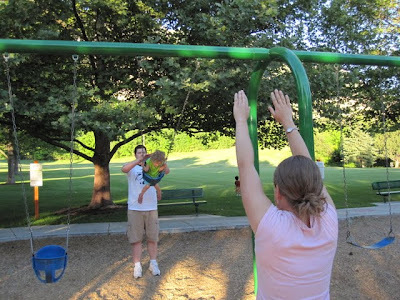 Emmy wanted to go even higher so Aunt Annah and Daddy work together to push her really high! 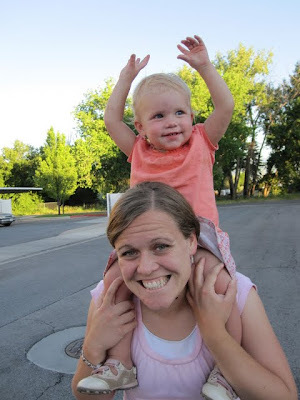 I explained in the last set of pictures that Emmy started putting her hands straight up for every picture…well Kaylee did that the rest of the time we were there! 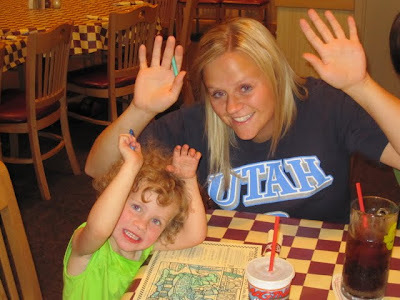 She would just say cheese and stick her hands in the air! They had this ice cream truck toy at the mall in Provo. The girls love these things! 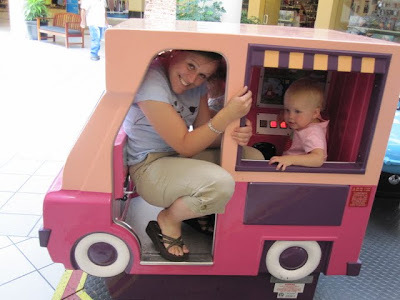 Aunt Annah catches a ride with the girls! 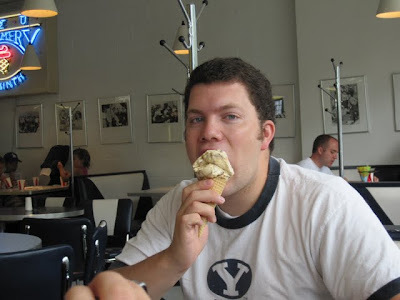 We also made a stop to the BYU creamery! I guess we kind of ate a lot there! We also enjoyed Cafe Rio and Sub Zero while we were there…and although they were yummy we decided we didn’t need pictures of all the food we ate! 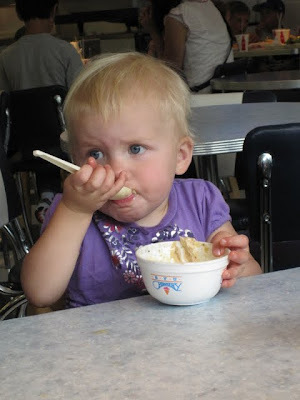 Emmy got BYU sparkle ice cream! 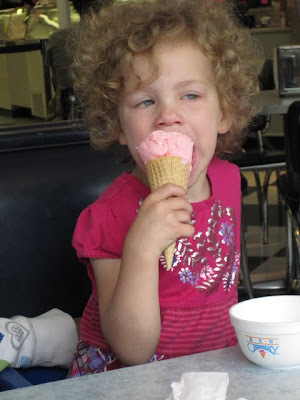 I don’t remember what Kaylee ordered but she loved it a lot! 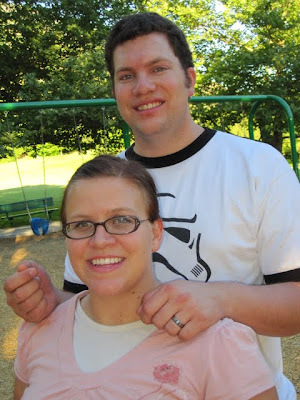 We got to stay with our good friends the Andersons while we were there! 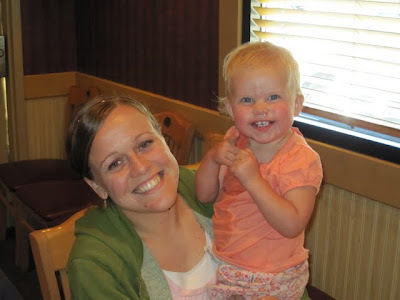 Angela was helping with her grandmothers funeral that same week so she was super hostess to let us stay with them! 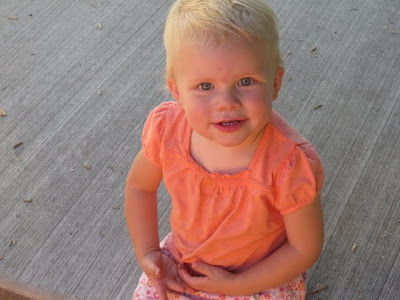 Our kids all played in the sprinklers the next morning and had a ton of fun! 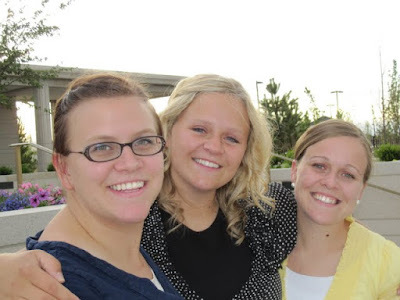 We had a lot of fun visiting friends, eating (a lot), and seeing BYU campus with the girls! 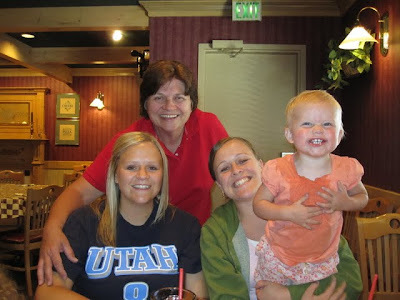 When we made it back to Provo we got to eat at Brick Oven pizza with my Mom and sisters! The girls had never had it before and they both loved it! We told Emmy to stop covering her face with her hands so she started taking all her pictures with her hands up in the air! Very clever little girl! Aunt Christina joined in on this one! 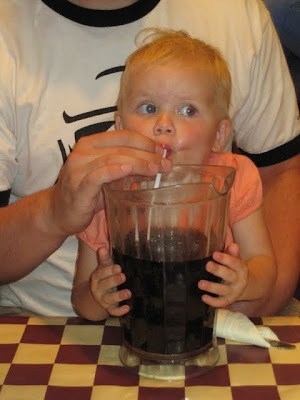 We went on Monday night and they had free root beer for the whole family if you buy a pizza…which we did…so free root beer!! Yum! Cheese! 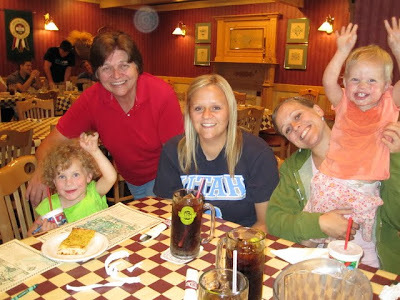 Here’s Grandma, Christina, Annah and Kaylee! 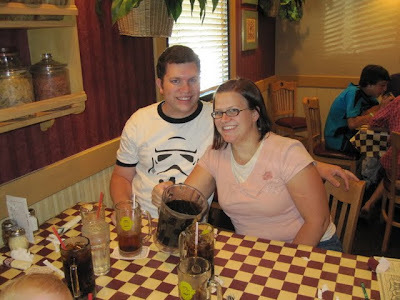 The girls had about 2-3 glasses of root beer each so they were a little hyper! 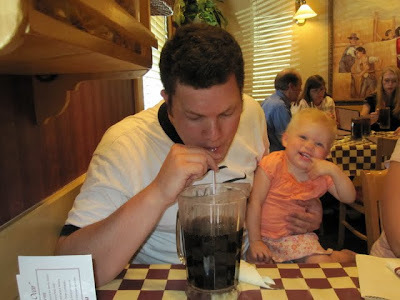 And finally…Kaylee helps daddy finish off the root beer…I think this picture might help me win Mother of the year! 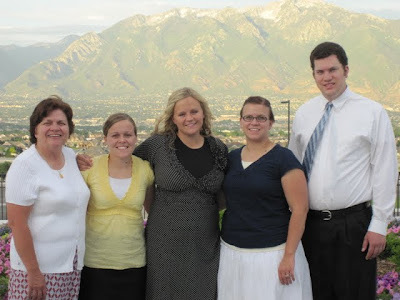 After Idaho we headed for Provo because my sister Christina was going to the Temple for the first time! On our way back through Utah we had a chance to stop in Ogden and see my friend Erica and her new little son Wyatt! We had a yummy lunch at Union Station (where Erica also had her wedding reception)! They had some great benches out front for picture taking! Here’s Emmy loving on Wyatt! He only looks a little concerned! 🙂 It was great to meet him and see Erica again! 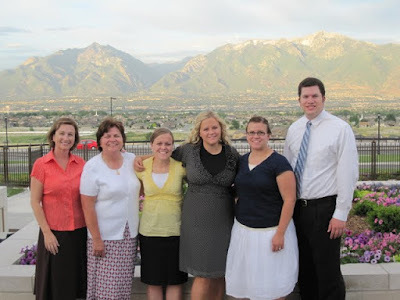 This summer we had a chance to visit some of Alex’s family in Idaho! It was Kaylee’s first time meeting her great-grandparents! Here are some pics from our trip to the land of potatoes! Emmy loved playing with all of Great Grandma and Grandpa Baker’s toys! She and Kaylee would bring them all to the living room and show them one by one to Grandma Baker! Alex’s grandparents were potato farmers and they still have a lot of the equipment in their shed. Emmy and Kaylee love to sit in the tractors! Here is Kaylee pretending to drive one! 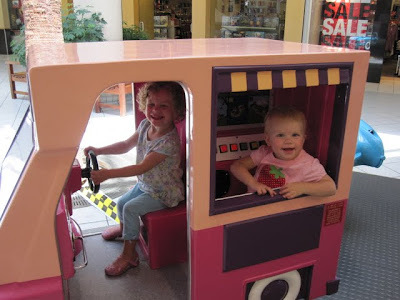 Looks like Emmy will need Kaylee to get on the ground and work the pedals! Here is the view from their backyard. The mountains in the background are the Grand Tetons. One of Alex’s favorite things to do in Idaho is relax in his grandparents basement! It stays really cool down there all year round and was a great break from our 90 degree house! In the northwest the sun stays up until 9! The girls loved having a few extra hours of playtime! Here they decided to run through the sprinkler in their clothes! They were totally soaked! Luckily the Baker’s have a clothesline in the back yard and we just hung everything out to to dry! 3 generations of Bakers! A good looking crew! Here is Emmy and her giraffe named Hershey saying goodbye to Grandpa! The girls both cried in the car because they missed Grandpa and Grandma but we told them we’d be back! We had a great time!